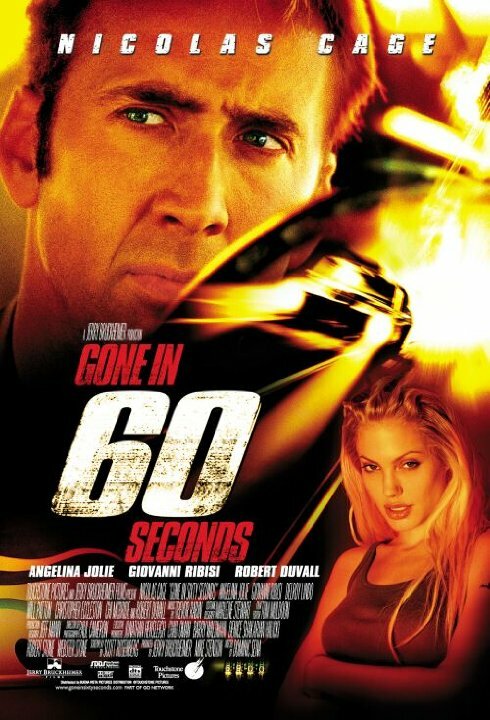 Gone in 60 Seconds (2000) – Did You See That One? When his younger brother (Ribisi) finds himself in too deep with a ruthless gangster (Eccleston), a retired car thief (Cage) comes out of retirement to save him. Now the brothers are working with their friends to steal 50 cars in one night. This film is a loose remake of the 1974 film of the same name. The screenplay was written by H.B. Halicki (The Junkman) and Scott Rosenberg (Con Air), with Dominic Sena (Kalifornia) directing. The cast for this movie includes Oscar winners Nicolas Cage (The Rock) and Angelina Jolie (Salt), as well as Giovanni Ribisi (Selma). Oscar winner Robert Duvall (The Judge) also stars in this one along with Will Patton (Remember the Titans), Delroy Lindo (Ransom), Timothy Olyphant (Hitman), and Christopher Eccleston (Thor: The Dark World). This is a wild story that works on the themes of redemption, past sins, and family. The concept for the film isn’t unlike a number of action movies that have come out, but the execution is pretty fun. The dialogue in the film is cheesy and predictable, but it’s not a movie that lives with the quieter moments. The writing built in enough action to keep this one entertaining. In addition, the writing doesn’t take itself too seriously, which is a relief since the story is ridiculous at times. Unfortunately, the action isn’t enough to save this from being a mediocre story that lives on a few action-packed moments. The acting in this movie is good, but not good enough to save this one. Cage, Jolie, and Duvall all have the ability to do great things but the writing doesn’t provide much to work with. The movie is so predictable that some of the dialogue is almost laughable. This despite the skill of the actors in the film. This doesn’t mean that there aren’t a few good moments along the way. The stars of this one make the most of it and some gems do exist. 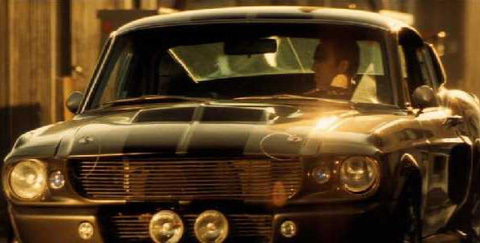 The action in this movie is confined mainly to the car chases and wild driving sequences. Unfortunately these scenes are drawn out a bit too long at times, taking away the impact they might have by becoming boring. The cars look great and the camera work is nicely done, but the finished product just doesn’t make a statement like it’s trying to. If you’re a car buff or someone in love with car movies this is one to see. Like always, die-hard fans of the stars will probably enjoy this one also. This is a wild ride with little story holding it together. I give this one 2.5 out of 5 stars. The 87th Academy Awards – My Picks – and how it all played out. Pingback: Ocean’s Eleven (2001) | Did You See That One? Pingback: Maleficent | Did You See That One? Pingback: The Accused – Did You See That One?